As part of Serenity Holidays we have the benefit and backing of 32 years of experience in offering quality holidays to UK passengers. Find out the benefits of becoming a trade partner and contact details for our dedicated trade team. As part of Serenity Holidays, a larger group consisting of the established independent tour operators The Gambia Experience, The Cape Verde Experience, The Senegal Experience, Corsican Places, Sicilian Places, Allez France and Great Escapes, we have the benefit and backing of 32 years of experience in offering quality holidays to UK clients. Through the years of working directly with our clients, we have built up a database of over 60,000 people who have either travelled with us before, or have shown interest in our holidays. If you feel you would be a well-matched affiliate, or would like information on becoming an agent or trade partner to Sardinan Places then we would like to hear from you. As part of Serenity Holidays, a larger group consisting of six established independent tour operators, we have the benefit and backing of 32 years of experience in offering quality holidays to UK clients. We have around 6,000 visitors to our site each month and along with our substantial 84 page brochure and a comprehensive website, we show ourselves to be the specialists to Sardinia on the UK market. Through the 32 years of working directly with our clients, we have built up a database of over 15,000 people who have either travelled with us before, or have shown interest in our holidays. By working with Sardinan Places, your property could be seen by a very large number of potential clients in a short space of time, at no cost to yourselves. We are passionate about Sardinia and our staff know the island so when our clients visit our site or call us up, our knowledge of Sardinia shines through. As part of Serenity Holidays, a larger group consisting of the established independent tour operators The Gambia Experience, The Cape Verde Experience, The Senegal Experience, Corsican Places, Great Escapes and Allez France, we have the benefit and backing of 32 years of experience in offering quality holidays to UK clients. We have a large Marketing and PR network that brings our product to market and were awarded Travel Company of the Year at the Travel Trade Gazette (TTG) Awards in 2007. The TTG Awards are highly regarded within the travel industry and Serenity Holidays Ltd was delighted to supersede excellent competition to win Travel Company of the Year - under 100,000 passengers. Why Work With Sardinian Places? We can organise everything for you! Once you make contact with us, we can take care of everything for you! We will contact you to talk through possible opportunities for your property, after which we will visit the property and offer advice on preparing it ready for Sardinian Places' clients. Once a contract has been agreed, promotion of your property begins in earnest, through our website, direct marketing activity and national newspaper advertising. We will deal with every aspect of the booking process, from initial contact with clients, to confirmation of bookings and preparation of a travel pack for every client. You will receive regular updates from us giving full information on all bookings for your property. We generally look for private villas with pool, cottages and character houses, residences, apartments, and hotels. 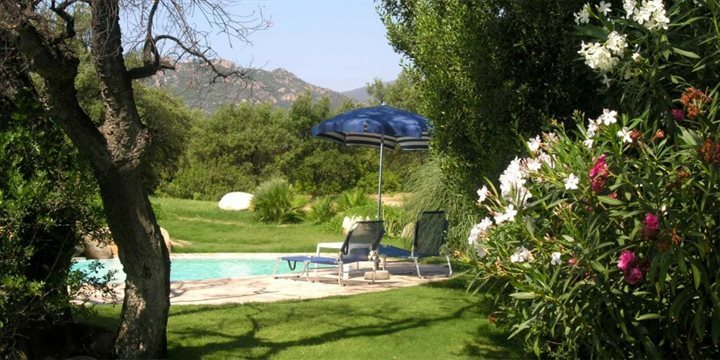 We feature diverse regions of Sardinia and offer an excellent portfolio of properties to our customers. A member of our commercial team will then contact you directly to discuss possible opportunities. Possiedi una proprietà in Sardegna? Tour Operator inglese ricerca, per la stagione 2015, nuove proprietà in Sardegna per ampliare la gamma di abitazioni da offrire alla sua fedele clientela. Cerchiamo appartamenti da una e due camere, ville con piscina privata, non troppo distanti da negozi, ristoranti e possibilmente vicino al mare. Una breve analisi del nostro sito vi permette di capire se le vostre proprietà hanno le caratteristiche ideali per lavorare con noi. Per informazioni non esitate a contattare l'indirizzo email informazioni@sardinianplaces.co.uk allegando una breve descrizione della vostra proprietà e alcune immagini che ne completino il quadro.